Piney River Ranch is one of the most beautiful venues in all of Colorado. It’s the perfect Vail wedding venue because the Gore Range views are unmatched. 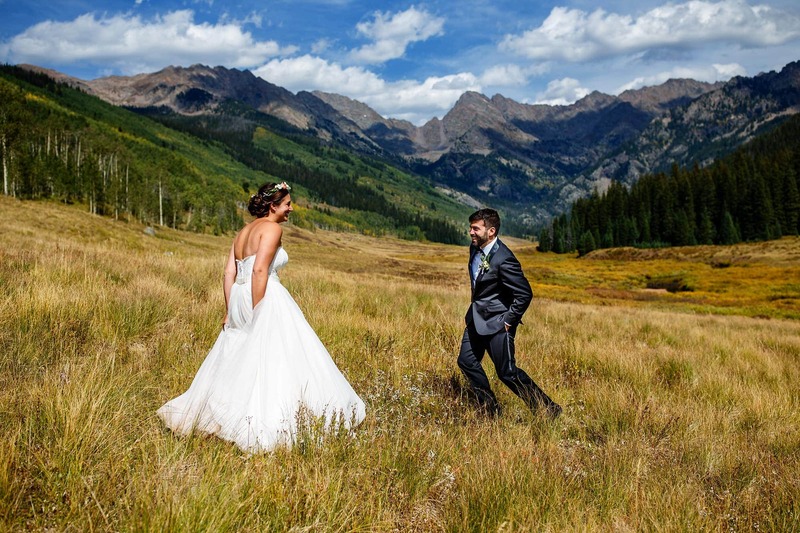 Piney River Ranch is one of the best mountain wedding venues near Vail. The moment you step foot on the property you’ll fall in love with the views. The ranch is available from June 21st through the last weekend in September. Located North of Vail up a logging road, the 45 minute drive is a challenge and we recommend that all guests not staying at the ranch are shuttled in. The ranch can accommodate ceremonies and receptions up to 200 guests. This top wedding venue in Colorado books up very quickly because of its popularity and limited seasonal availability. Cell service and GPS systems on your phone don’t work at the venue so make sure to print out or download a map and directions to the ranch before you go. It’s also a great engagement location. Without a doubt, this is one of my favorite venues in all of Colorado. The scenery is obviously amazing but the cabins and tents add to an amazing experience. I always recommend that couples plan extra time for photographs so we can venture off the beaten path for something unique. An evening canoe ride with your new spouse will be something you never forget.